The Irvine Golf Club is no stranger to famous players and professional tournaments, playing host to the R&A for the Local Open qualifying when the Open is held at near neighbours, Royal Troon or Trump Turnberry. However, the photograph below, which is proudly on display in the club house shows the club playing host to an early professional tournament in 1904. 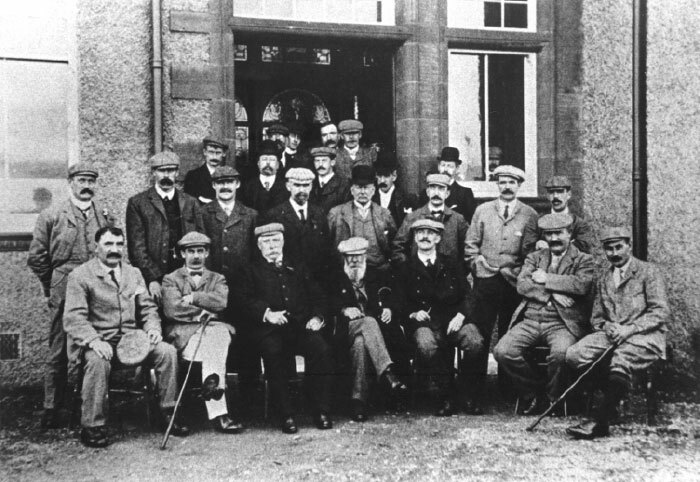 Pictured in the centre is “Old” Tom Morris, pioneer of professional golf and in the 2nd row, second from the left is a young James Braid, who later went on to re-design the course in 1926. The club is famous for having reared three Scottish Champions who all grew up a stone’s throw from the course, in the former mining village of Bartonholm and the club today has a thriving junior section, so we hope we might have future Scottish Champions to come. Pictured below is one of the club’s young talents, Stuart Easton. 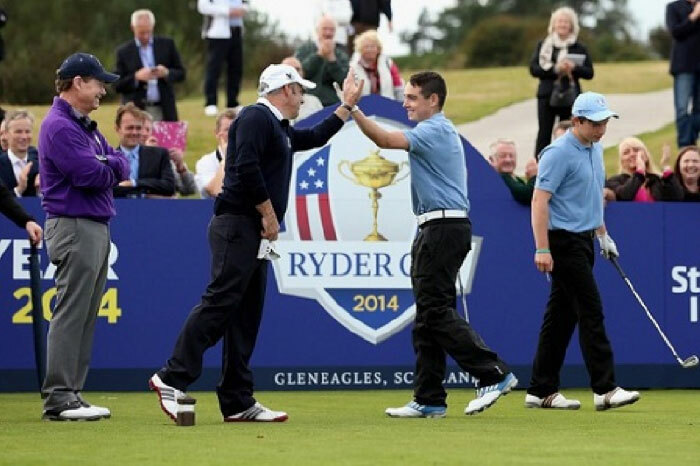 Stuart took part in a unique Captains’ Challenge at Gleneagles, to mark a year to go to the Ryder Cup taking place at Gleneagles in September 2014. Not only did Stuart get the opportunity to meet golfing legend, Tom Watson, and winning European Captain, Paul McGinley, he also won a pair of tickets to the opening day of the Ryder Cup, courtesy of defeating Captain’s Watson and McGinley in the “closest to the hole” challenge.